Tasty pastry filled with sweetened Ricotta Cheese and Chocolate stay just a bit fresher when slightly chilled as with this Iced Cannoli Pastry Display at Kings SuperMarket … a trick I might not have thought of until seen. All my other pastries I might prefer warm from the oven, but the “mouth-feel” of Cannoli cool would be refreshing. So how do you prefer YOUR Cannoli? 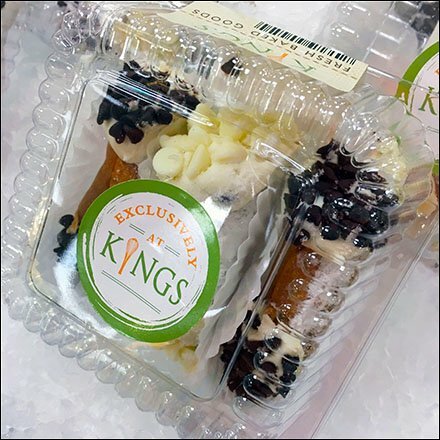 Step through the Iced Cannoli Pastry Display at Kings SuperMarket gallery of photos to inspect the offering here.